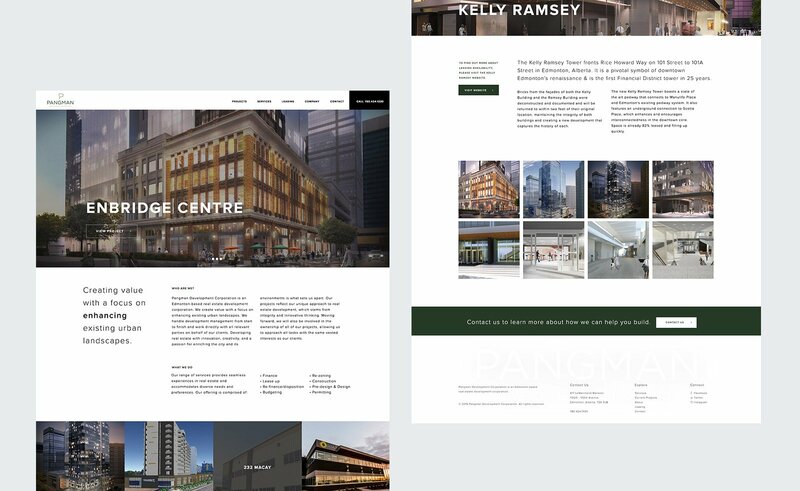 Pangman Development Corporation, an Edmonton based real estate development company, came to us to modernize their site and reflect their noticeable prominence in their industry. An essential focus was placed around the grand opening of their latest real estate development project, the Enbridge Centre. Mindful of their time constraints, we worked to produce a site worthy of their stature. Our goal was to show visitors the scale and construction of Pangman’s projects. We also wanted to make sure that it would be easy for Pangman to update and add new developments. The project pages were designed to be simple and well structured, emphasizing the stunning project images.